Pimm's is liquor usually use to prepare fruit cups. It was first produced in 1823 by James Pimm, a farmer's son from Kent, when he became the owner of an oyster bar in the City of London, near the Bank of England. He prepared a new type of tonic, a Gin-based drink containing a secret mixture of herbs and liqueurs, that he usually offered as an aid to digestion, serving it in a small tankard known as a "No. 1 Cup", hence its subsequent name. Pimm's began large-scale production in 1851 to keep up with sales to other bars. In 1865, Pimm sold the business and the right to use his name to Frederick Sawyer. In 1880, the business was acquired by future Lord Mayor of London Horatio Davies, and a chain of Pimm's Oyster Houses was franchised in 1887. 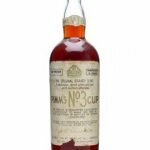 Over the years, Pimm's extended their range, utilizing a number of other spirits as bases for new "cups". 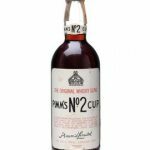 In 1851, Pimm's No.2 Cup and Pimm's No.3 Cup were introduced. After World War II, Pimm's No. 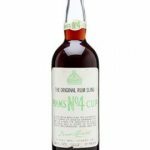 4 Cup was invented, followed by Pimm's No.5 Cup and Pimm's No.6 Cup in the 1960s. The brand fell on hard times in the 1970s and 1980s. The Oyster House chain was sold and Pimm's Cup products Nos. 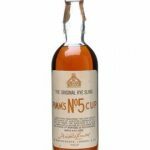 2 to 5 were phased out due to reduced demand in 1970 after new owners The Distillers Company had taken control. The Distillers Company was subsequently purchased by Guinness plc in 1986 and Pimm's became part of Diageo when Guinness and Grand Metropolitan merged in 1997. There are six Pimm's products, all of which are fruit cups, only Cups Nos.1, 3 and 6 are still available at present. The essential difference is the base alcohol used to produce them.